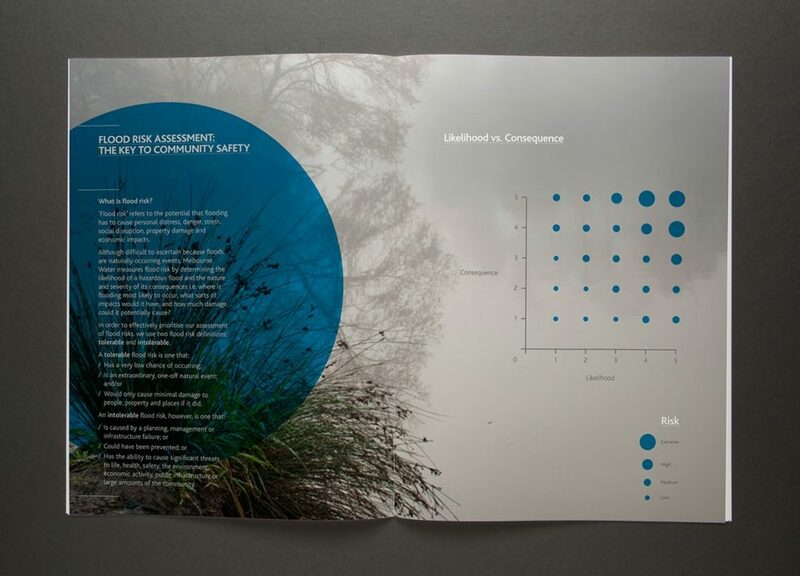 The Flood Risk Assessment Framework information booklet is a publication which details the role of Melbourne Water in managing flood risks and consequences using concise, easy to understand language for general public consumption. 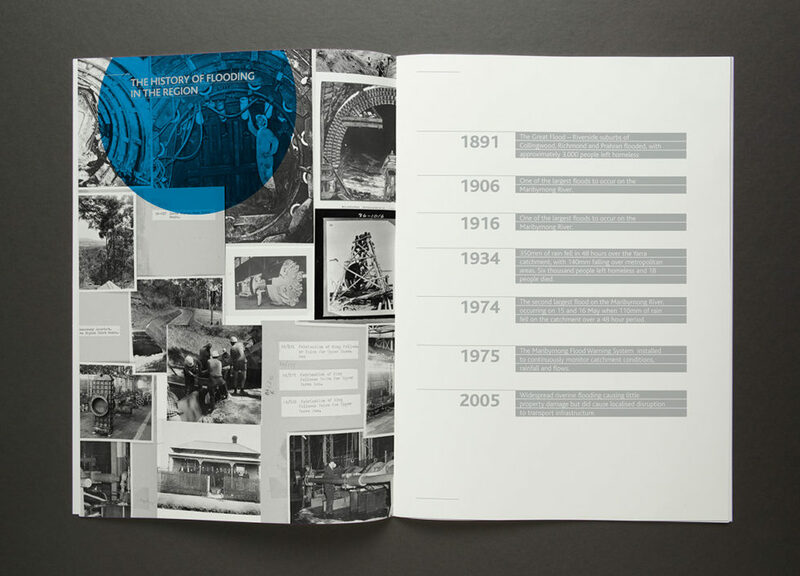 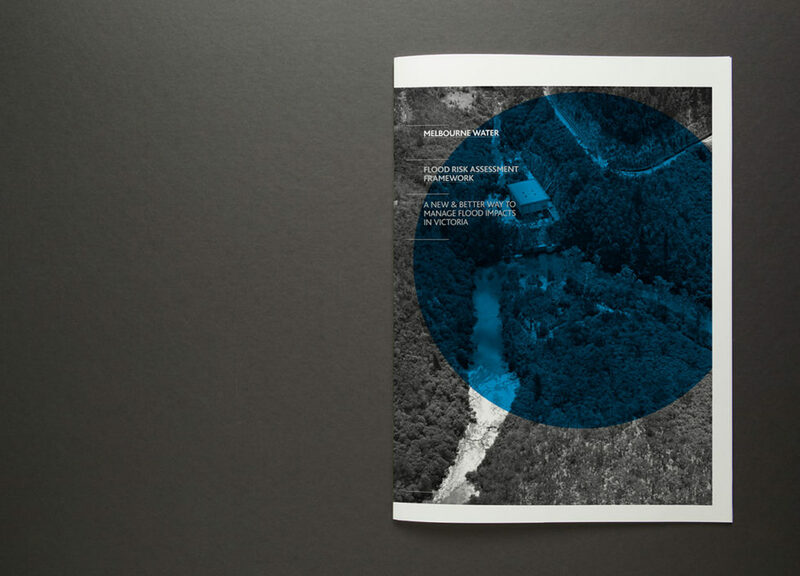 The use of simple, circular blue shapes expand or contract depending on the level of content on each page and also serve as containers for key information. 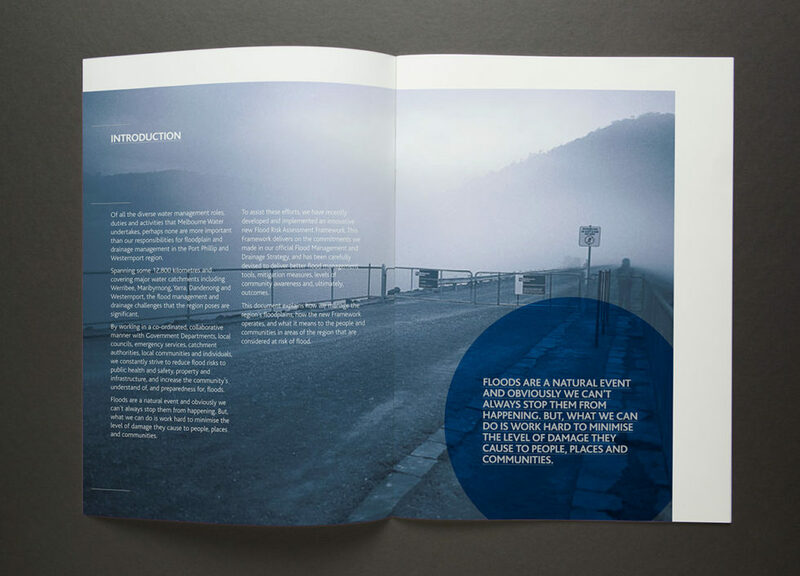 Level indicator markers draw visual reference to rising water levels as well as aid in dividing header and text information.